The weather is warming up, bikini season is around the corner and I know just the thing to get you moving. New clothes! Well, workout clothes. Throw the puffer jacket to the back of the cupboard and invest in some stylish new workout wear, because you’ve earnt it. All those sit-ups in the rain, laps in the cold, and morning walks wearing a scarf, gloves and beanie and swap them for a fresh summer look to get you motivated. Before you hit the gym or the yoga mat, invest in some fashionable and functional workout gear. I guarantee you will be moving in no time! Let’s start at the bottom. When running, it’s all about the shoes. 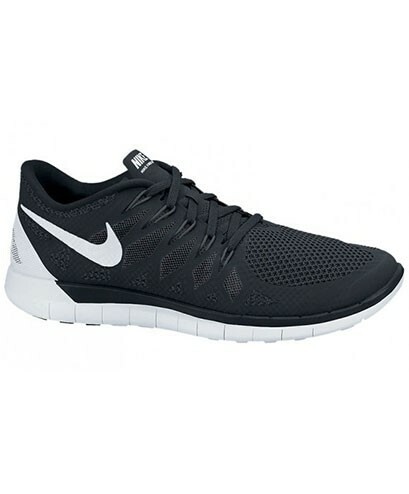 The Nike Free 5.0 will seamlessly take you from the gym, to your favourite, trendy café after. 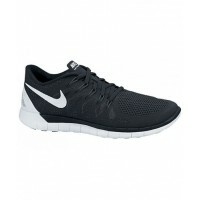 These super-stylin kicks have Flywire technology for ultra-lightweight support and woven mesh upper for breathability. These Breathe Easy yoga pants are made for all yogi’s of every ability. Designed for comfort, coverage, maximum ventilation and sweat management, there is no pose too difficult to master. Go with the flow, breathe easy and relax back into your mat. Here is one reason why you should try stand-up paddle boarding, or SUPing. The Upside’s Leopard Paddle Suit. Get a group of friends, hire some boards and get into the water for lots of laughs and a killer core workout. Work up a sweat and get the endorphins flowing in a spin class. This white, crop top is perfect for an intense spin session. Just pair with leggings or bike shorts and you will be burning calories while pedaling to some killer beats in no time. Throw it back with these vintage-style gym shorts in old school, grey marle or bright colour. Whether you are taking the dog around the block or strutting the Bondi to Bronte, do it in comfort and style. Made with a lightweight cotton blend and wide rib waist for a soft touch and adjustable fit. Look stylish while swimming laps in this stunning, limited edition one piece. An exclusive collaboration between Speedo’s and photographer Eugene Tan of Aquabumps sees swimwear that shows off some of the most beautiful images of Australian and international beaches. Time to dust off those googles! Dance to the beat in this trendy, sleeveless, oversized hoodie. Designed to show off a long sleeve top or bright crop top underneath. With the music pumping you won’t even realize you are sweating.